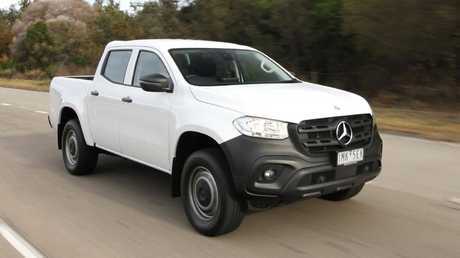 The new Mercedes X-Class range starts from $45,450 for a rear-wheel drive manual cab-chassis - but the cheapest ticket into an automatic with a tub starts here, the X250d Pure, from $55,300 plus on-road costs. That's Toyota HiLux SR5 and Ford Ranger XLT money for a base model Benz with grey bumpers, a vinyl floor and steel wheels. 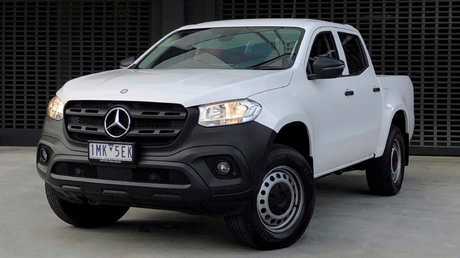 This is the cheapest ticket into a Mercedes-Benz X Class auto, the X250d Pure. Picture: Joshua Dowling. The X250d badge means it comes with a 2.3-litre four-cylinder twin turbo diesel and seven-speed auto - identical to what's under the bonnet of dearer versions of the Nissan Navara. 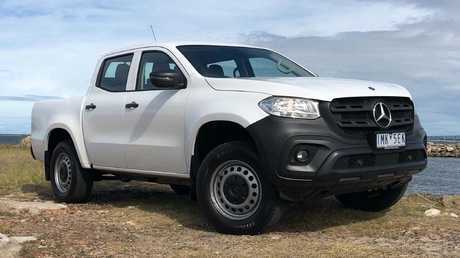 Cheaper X-Class models are badged X220d and come with the single turbo diesel from the entry level Navara. 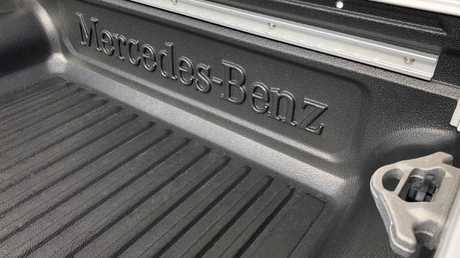 Benz adds the "4Matic" badge on the tailgate but the ute's four-wheel drive, as in the Navara, is for off-road use only. Only the coming TDV6 X-Class will be full-time 4WD. Options include a tub liner ($899), while Nissan's clever cargo hooks and load rail (standard on Navara) are bundled in a pack with front and rear sensors for $1300. Our test vehicle also had rear window protection (a thin frame with four vertical bars at the front of the ute bed) for $490. The tub liner and load rail set-up are optional on this model. Picture: Joshua Dowling. The small centre console was replaced with a single DIN slot for a two-way radio and had two USB ports instead of one. And an alarm was added ($590). Our "as tested" price ended up being $57,830 plus on-road costs. Metallic paint adds $950, almost double what Nissan charges. 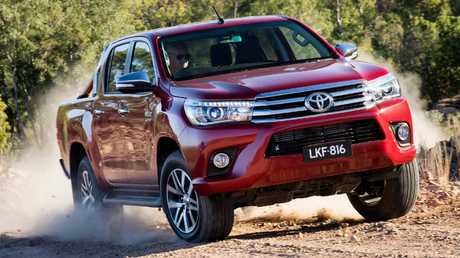 The warranty is three years/200,000km (100,000km more than Nissan); service intervals are the same as the Navara at 12 months/20,000km. The cost of routine maintenance for the first three services is $1850 paid up front, or $2350 if you pay as you go ($585, $930 and $835). At a Nissan dealer, pay $1864 as you go. The interior is a step above anything else in the category, even if this is the base model with a vinyl floor. 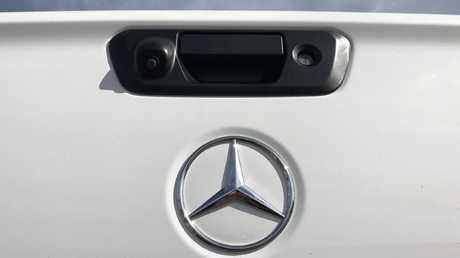 The instrument cluster is the same as the Mercedes C-Class sedan, with a large vertical hi-res screen that displays a digital speedometer and other vital signs. It's crystal clear and lifts the cabin more than you might expect. It might have a vinyl floor but the X-Class interior presentation is still a cut above the competition. Picture: Joshua Dowling. The tablet-style display in the middle of the dash is not a touch screen; the controls are on the centre console and operated by a dial and buttons at your fingertips. A classy touch. Annoyingly, however, Apple CarPlay and Android Auto are not yet available. The airconditioning works well (there are also vents in the back, a rarity in the class) but the controls are down low and not easy to locate on the move. Thick and sculpted, the steering wheel feels good in your hands, although our car had some burrs where the front and back halves of the rubber rim were glued together. The X-Class is one of the few in the class with rear air vents. Picture: Joshua Dowling. Being slightly wider than the Navara on which it's based means there's a touch more shoulder room, although you still wouldn't want to accommodate three big blokes across the back bench. The biggest benefit from the extra width is the larger door pockets; they're huge and noticeably bigger than most rivals. The X-Class is the first vehicle in the category to come with autonomous emergency braking as standard, to slam on the brakes and come to a halt in slow moving traffic if the driver isn't paying attention. The rear-view camera has a clearer image than most other utes. Picture: Joshua Dowling. None of these systems are 100 per cent foolproof but it's better to have than not. Seven airbags and rear camera (with a clearer image than Nissan's version) are also standard. Thanks to four-wheel disc brakes and road-biased Michelin tyres, braking is superior to most peers with front discs, rear drums and off-road tyres. 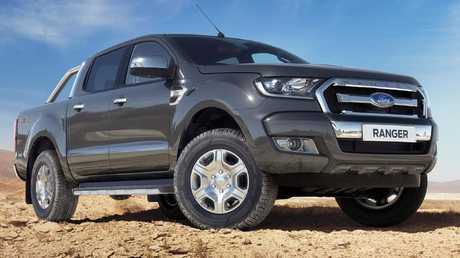 The Pure drives better than the Navara, given the extra chassis strengthening, wider footprint, unique suspension tuning and choice of more cushioned tyres. 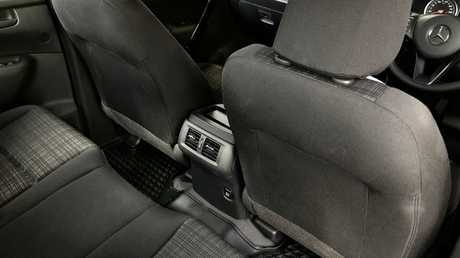 It steers more intuitively, is more composed over bumps and is much quieter thanks to extra sound deadening. It even drives better than the flagship X-Class - it's the sweet spot in the range. The X Class X250d Pure drives better than a Navara but it’s not a standout among its peers. 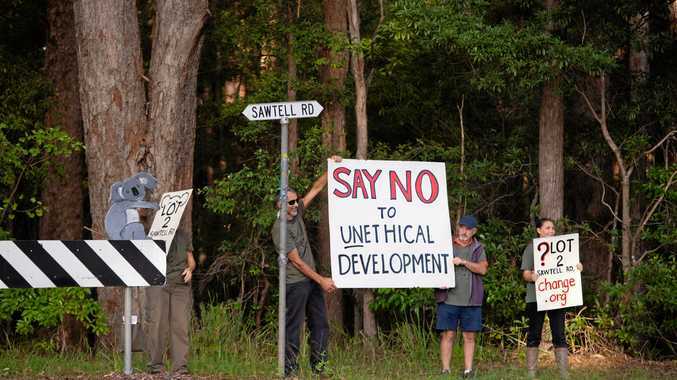 Picture: Joshua Dowling. That said, it's still not class best - despite the price premium - but it feels close to, say, a Ranger XLT or a VW Amarok when driven without a load. The diesel feels OK once on the move but the 150kg-200kg of extra weight over the Navara blunts acceleration and hurts real world fuel economy in stop-start driving. The SR5 has more gear than the X-Class, lower running costs, better real world fuel economy and more go-anywhere ability. But it doesn't have a Benz badge. The XLT can be optioned with forward crash alert, radar cruise control and lane keeping assistance to get close to the Benz's safety package. But it doesn't have a Benz badge. 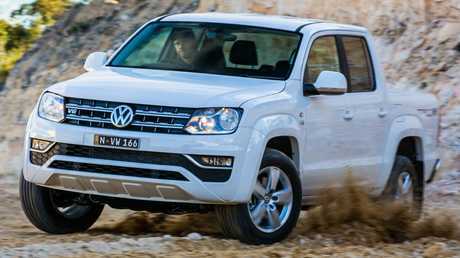 The Amarok has the shortest list of standard safety equipment among its peers and is one of the oldest in the category, but it's still a standout to drive in TDV6 form. It might have grey bumpers, steel wheels and a vinyl floor but this is the pick of the X-Class range to drive - if you can contemplate spending $55K on a base model. We have two cars and just need one — what should we get?